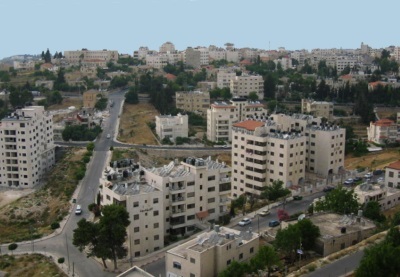 Aerial View of the City of Ramallah in the Palestinian Authority. Credit: public domain image on Wikipedia. Rather than buy into the myth of what Jew-haters think you “Palestinian” Arabs should strive for, you might want to look around and see what you already have and imagine what you can build if you put your minds to it. Even if Israel annexes Area C of Judea and Samaria, the heart of the ancient Jewish homeland, as I hope we do, that leaves at least 3000 square kilometers, home to about 95% of the Arab population of the disputed territories the rest of the world refers to as the West Bank. Bassem Eid suggests some kind of confederation with Jordan, but given how Jordan treats the “Palestinians” who have Jordanian citizenship, I think that idea might not be the best idea for the Arabs who consider themselves Palestinians. While 3000 kilometers does not seem much to build a country with, there are quite successful examples of nations with far less than that. The size of the smallest countries in the world is laughable at under 100 km, but one cannot scoff at the success of San Marino (61 km), for example, landlocked just as the new Arab country would be. Singapore is only 718 km, with over 5 million people; Granada, Malta and the Maldives are only about 300 km each and they are all successful nations. So what is holding back these New Palestinians from building a thriving country with 3000 km? I will even go so far as to suggest that New Palestine seek to enter into a common market kind of arrangement with Israel and not Jordan. Israel already provides electricity and water and even though there are still substantial outstanding debts, I am sure that Israel would be happy to find a way to work it out, if you decide to stop stabbing us in the back or ramming into pedestrians waiting for buses, that is. Before BDS caused Soda Stream to relocate to the Negev, it and other companies operated in Judea and Samaria, providing employment for Arabs alongside Jews. There are ongoing conjoint environmental research and development projects even as terror raises its ugly head. This means that there is a basis upon which to build cooperative economic projects for the benefit of all. When the Arabs who now refer to themselves as Palestinians will be more interested in maintaining a decent life than in bawling about imagined Israeli crimes, the two nations – Israel and New Palestine – will become the pearl of the Middle East and Jordan will likely want to be invited to the party as well. Is it not possible that the emergence of a strong alliance Israel-New Palestine-Jordan is precisely what many other Arab nations feared in the past? I wonder how much that is still true, or even relevant given the current turmoil in the Middle East. Imagine this: upstart Jewish nation rebuilt on its ancient indigenous homeland in cahoots with upstart New Palestinian nation that was not really meant to exist at all except as a way to get rid of us Jews! We can thumb our noses at the lot of them, those that wanted neither us Jews nor you Arabs who now call yourselves Palestinians. Can you get into it? Next story Should Arab and Jewish Terrorists Be Treated Equivalently?